What a delightful breath of fresh air this maintenance-free villa is! Uplifting, neutral colors and decor, TASTEFUL FURNITURE a great room floorplan and tasteful furniture will welcome you the moment you step through the door and into this popular END-UNIT "ARLINGTON CLUBHOME VILLA. 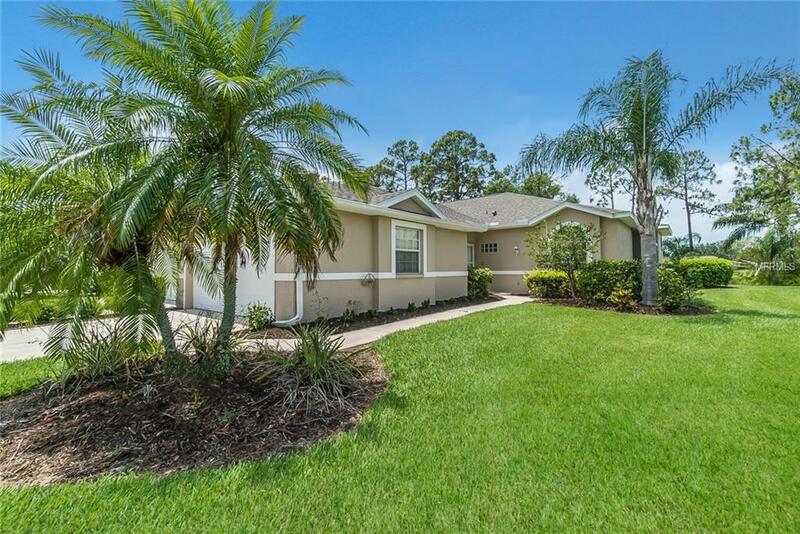 The home has been meticulously maintained and offers an ADDITIONAL SMALL LANAI off the den, PLANTATION SHUTTERS, STAINLESS STEEL APPLIANCES, and a popular FLORIDA ROOM & LANAI combination. The spacious kitchen is ideal for cooking delicious meals or for entertaining your family, friends and neighbors. Heritage Oaks truly is a Golfers Paradise, but even for non-golfers this community offers a variety of amenities that make it one of Sarasotas most desirable destinations for retirees, seasonal owners and renters alike. Escape snow, ice and sleet and come to a resort-style place where you will be warmly invited to attend a multitude of events at one of Sarasotas finest clubhouses with restaurant and Bar/Lounge. Enjoy the 18 hole golf course that was just re-designed by Ron Garl, an award-winning Pro-Shop that carries high-end equipment and designer apparel, 5 heated swimming pools, 4 Har-Tru tennis courts, a fitness center with a gym and daily fitness classes and a fun-filled social calendar. No need to endure the next winter. This villa sells TURNKEY FURNISHED so it is ready for your enjoyment. Welcome to Heritage Oaks!